In Antwerp, the people behind renowned boutique hotel 'Hotel Julien' launch a new and aspiring hospitality project : August. On the recently developed Military Hospital site, a former Augustinian convent becomes a modern-day sanctuary for both Antwerp residents and foreign visitors to enjoy. August reenvisions its historical central function with an open restaurant and a bar, a bespoke hotel with dedicated wellness area, an open air swimming pond and secluded gardens. 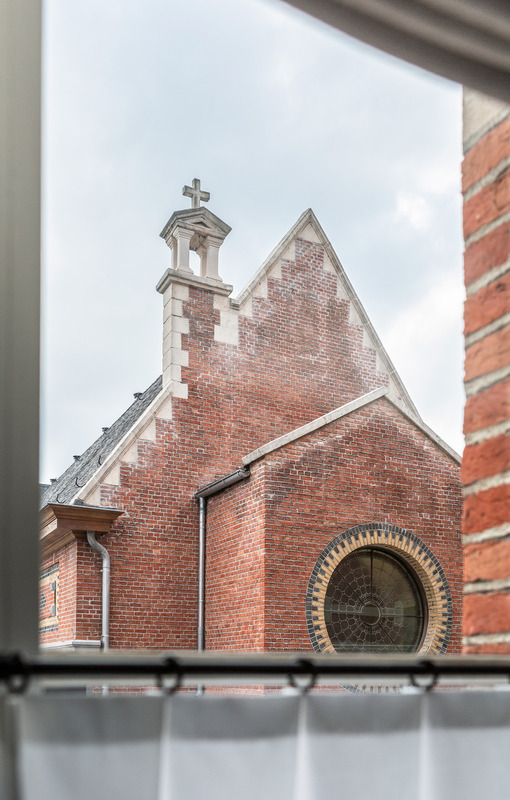 August consists of 5 different buildings, blended together under the guidance of legendary Belgian architect Vincent Van Duysen in his first-ever hotel project. The restaurant and bar are curated and envisioned by well-known star chef Nick Bril. Opening in April 2019.